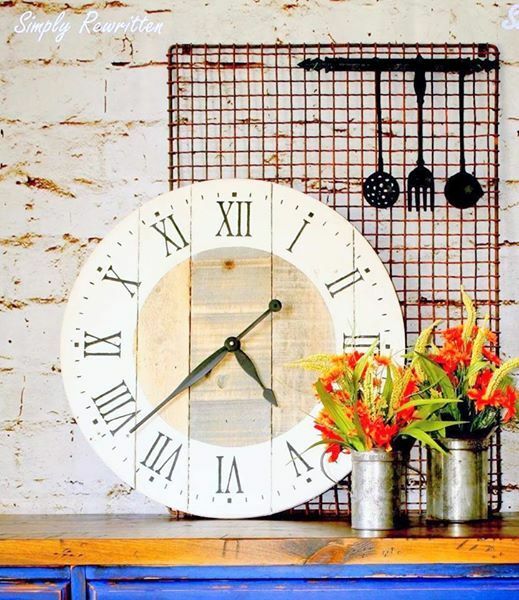 Join us for our Farmhouse Clock Workshop! 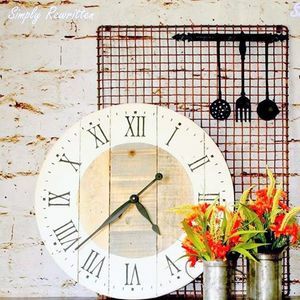 This workshop will give you the opportunity to design and finish your very own Farmhouse Clock. You will be given a choice of 4 different clock stencils and your choice of paint color! 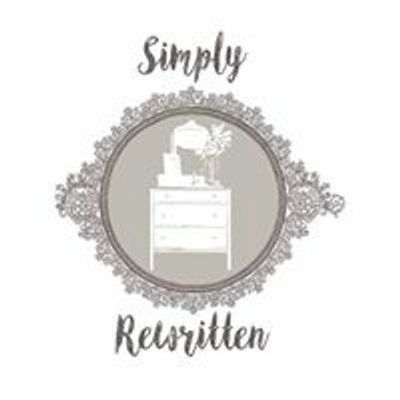 I will show you from beginning to end, how to achieve your desired look. This workshop incudes a 24" pine round made from pallets, high torque clock mechanism, 9.5"L clock hands, stencils, paint, and wax! Class size is limited to 6 people. The cost is $135 per person.